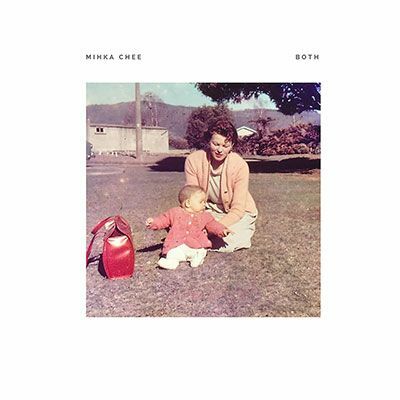 Raised by Gypsies ::: Music Review: Mihka Chee "Both"
Music Review: Mihka Chee "Both"
If you listen to as much music as I do, you'll know two things which contract each other. On one hand, you always feel like you've heard it all. There is this constant feeling of "Yeah, I've heard this type of sound a million times before". But then, you also have to recognize (which I do) that you have not yet heard it all and be open to listening to new sounds. On these five songs, Mihka Chee brings a combination of sounds I have heard before to create a new sound all her own. I was submitted this album (without naming names) and when I listened to it all I could think was how much it sounded like that straight up surf/garage punk that one might find on Burger Records. Just giving that brief description can probably generate an idea in your head of what that album sounds like, right? Well, the thing with Mihka Chee is that she is not as one dimensional. Within that surf punk attitude come other sounds as well. There is this darkness that reminds me of Delta Dart, and I definitely enjoy that more than anything. By the last song it has this ukelele/Hawaii vibe. She name drops Adele at one point which I find to be funny as well. And despite this sort of innocence the songs might seemingly portray she still isn't afraid to drop an f-bomb.